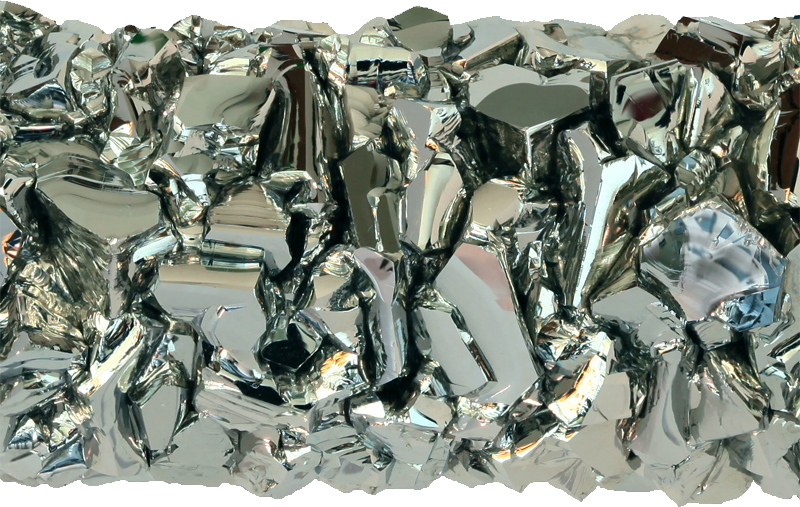 Hafnium is a ductile, lustrous, brilliant silvery metal, and It has an excellent corrosion resistance due to formation of a tough, impenetrable oxide film on its surface. 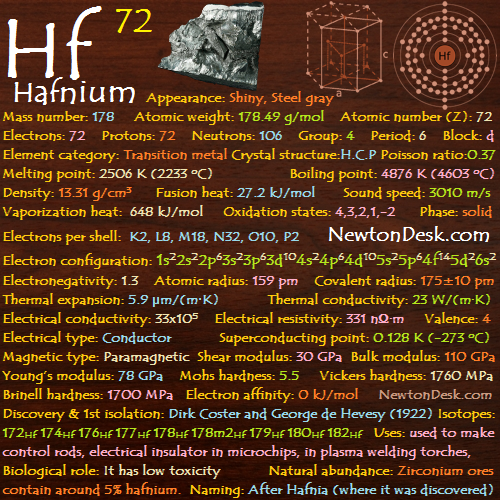 Of all the elements, Hafnium and zirconium are of the most difficult to separate, Although their chemistry is almost identical, where the density of zirconium is almost half of hafnium. Highly Pure hafnium has been produced, with the major impurity of zirconium. It reacts with Halogens to form tetrahalides. AHafnium react slowly with O2 at room temperature because of coated with an oxide layer, However hafnium will burn in air if provoked to form hafnium dioxide (HfO2), Finely divided (as a powder) hafnium is classified as a fire hazard. It doesn’t react with water. Reacts with halogens upon warming, and forming hafnium (IV) halides. Due to oxide layer on surface, most cold mineral acids have little effect, however, it dissolve in hydrofluoric acid (HF), to forms fluoro complexes. AHafnium is a good absorber of neutrons (Its neutron-capture cross-section is almost 600 times that of zirconium) and has a extremely corrosion-resistant, therefore it is used for control rods in nuclear reactors and nuclear submarines. Because of the high melting point, It is used in high-temperature alloys and ceramics. 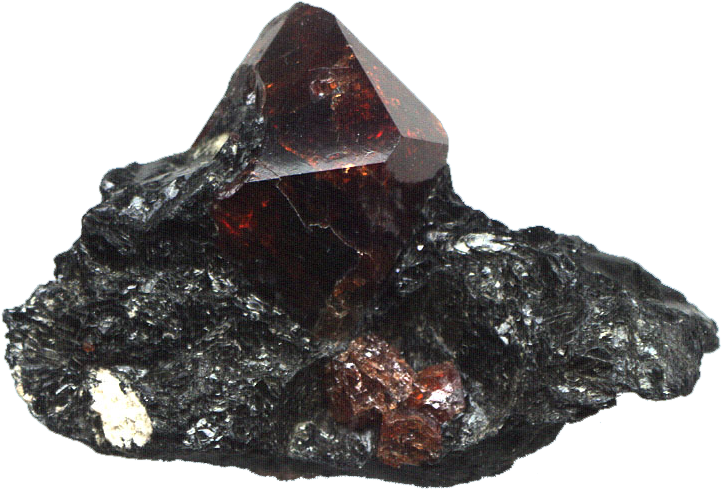 Some of its compounds are very refractive (they will not melt except under the most extreme temperatures), which is used in plasma welding torches. 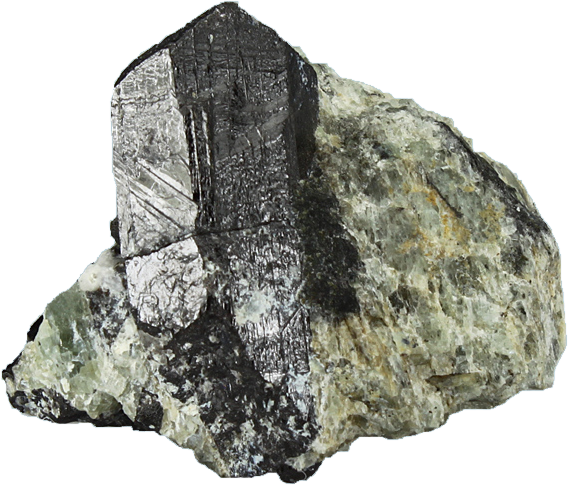 It has been successfully alloyed with several metals including Niobium, Tantalum, Titanium and Iron. 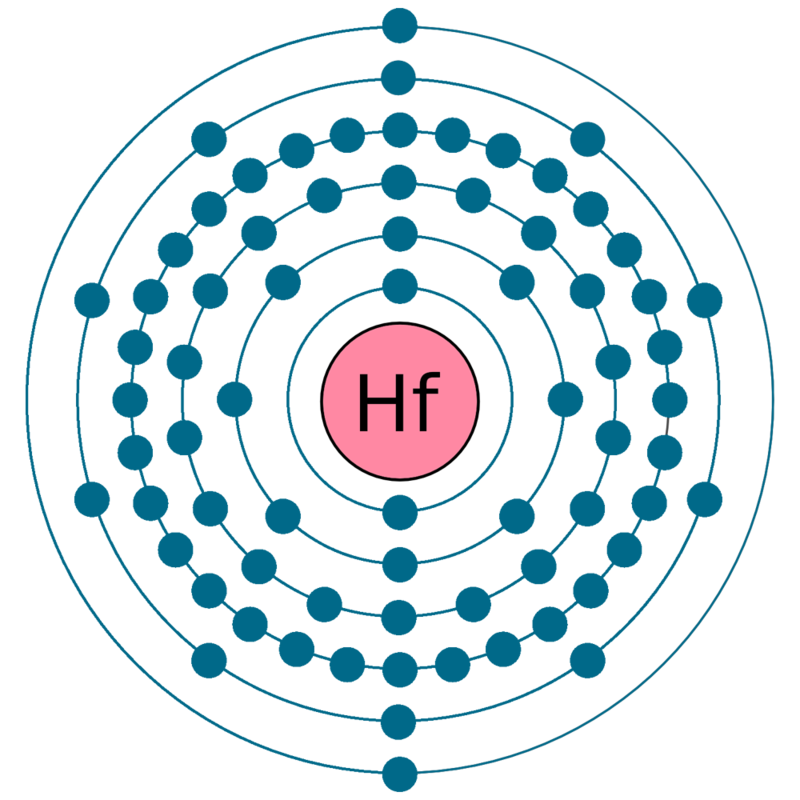 AHafnium is used in gas-filled and incandescent lamps as an efficient getter (substance used to remove residual gas from a vacuum tube) for scavenging oxygen and nitrogen. Hafnium oxide (HfO2) is used as an electrical insulator in microchips, while hafnium catalysts have been used in polymerisation reactions. 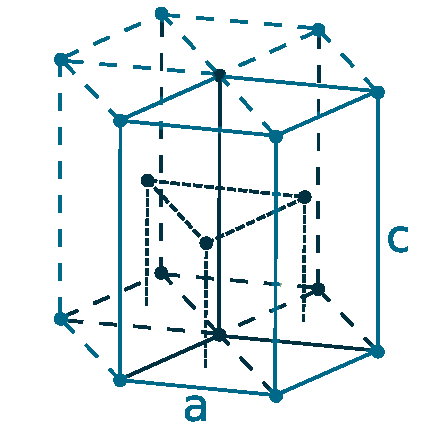 It has Low-toxicity, and exposure to hafnium should not exceed 0.5 mg/hr. Finely divided hafnium is pyrophoric, which can ignite spontaneously in air, so It should be handled with care while machining the metal or handling hot sponge ahafnium. The metal is found in most Zirconium ores (zircon (ZrSiO4) & baddeleyite (ZrO2)), which contain around 5% Hf. Commercially, it is prepared by reducing Hafnium tetrachloride (HfCl4) with sodium or magnesium (Kroll Process). It can be also separate from Zirconium by repeated recrystallization of the double ammonium or potassium fluorides (FH4N, KF). Annual world wide production is around 90 tons.